Home Apple iPhone News Smartphones Apple iPhone 8, iPhone 8 Plus (PRODUCT)RED Arrives in PH! Apple iPhone 8, iPhone 8 Plus (PRODUCT)RED Arrives in PH! 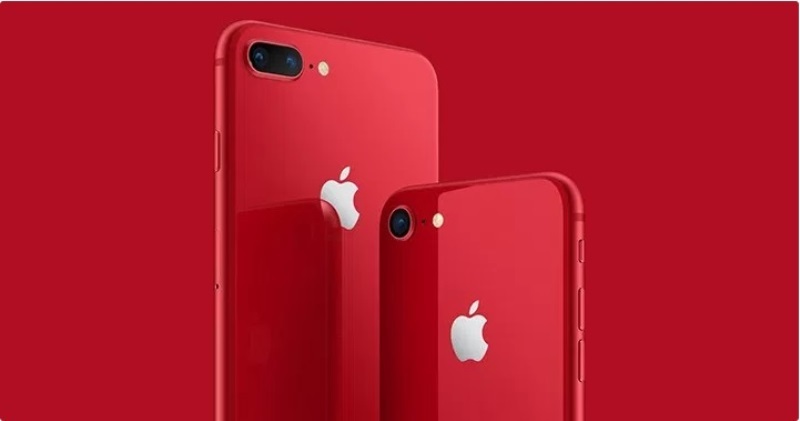 Apple recently announced that both iPhone 8 and iPhone 8 Plus will be offered in (PRODUCT)RED variant, where a portion of proceeds from its sale will be given to the (RED) Organization. Today, the (PRODUCT)RED models has officially arrived in the Philippines through the local Apple Online Store. With a goal to fight AIDS, the contribution will help people affected by HIV in eight African countries, including Ghana, Lesotho, Rwanda, South Africa, Swaziland, Tanzania, Kenya, and Zambia. But as usual, the Red variant still sports the same specs as the iPhone 8 and iPhone 8 Plus models. It just flashes a bright red color on its back. Now offered at Apple Online Store, the iPhone 8 pricing starts at Php44,990, while Plus model starts at Php51,490.